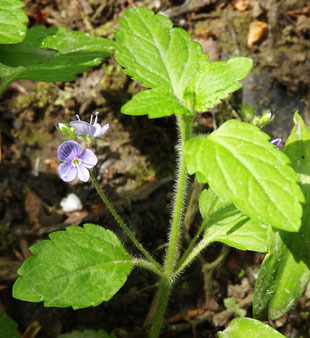 woodland and in shady hedge banks and scrubland. 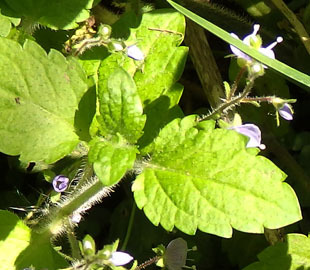 hairy herb growing up to 40cm. 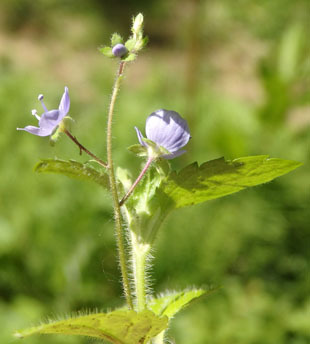 Flowers are in an erect spike. 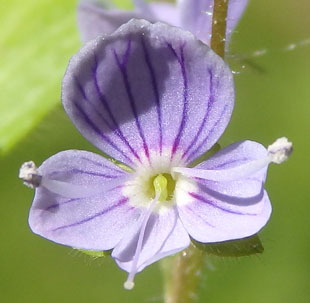 They have 4-petals, are up to 7mm across and lilac. 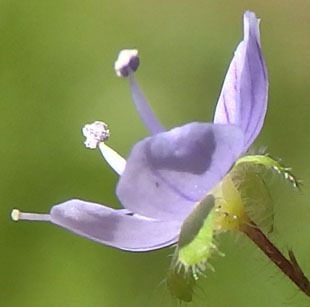 There are 2 pale stamens and a single style and stigma. hairy on both sides. 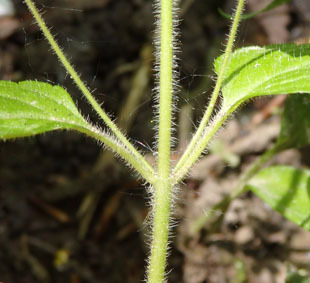 They have short petioles (stalks). 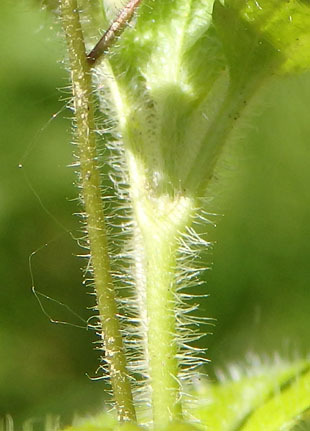 Stems are hairy all round.